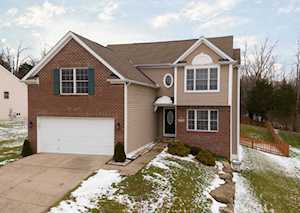 CHERRYWOOD PLACE is a fairly new subdivision of family homes in La Grange, KY, off Highway 53. There is new construction as homes well as homes that ten years old. Home prices range from $200,000 to $300,000. Most of the new construction is built by Dominion Homes. Click the map to the left to view each home for sale in Cherrywood Place. There is a satellite view in upper right corner. Homes in this area sell fairly quickly and are a good value. Most of these homes will be on lots of less than a half-acre and will all have a basement of some type. These houses will have a mailing address of LaGrange, KY 40031 and are found in area 21 of the Greater Louisville MLS. Area 21 is comprised of real estate south of I-71 in Oldham County. Cherrywood is located in LaGrange KY and most of your everyday shopping will be done here as well. It is 13 miles to the Gene Snyder Freeway. Shoppers will find the Paddock Shops are at the second exit on Brownsboro Road (formerly The Summit shopping center). 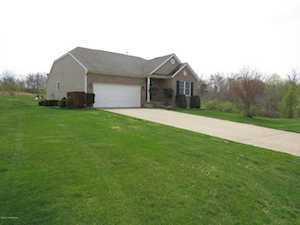 This subdivision is next to I-71 so it would be a quick trip to downtown Louisville. Eagle Creek Golf Course is a public golf course owned by the city of LaGrange located nearby. Another opportunity to play golf would be at the Oldham County Country Club. It is a semi-private facility open to the public. Oldham County Schools are known throughout Kentucky and attract homeowners to this area. In Cherrywood, young children would start out with Locust Grove Elementary School. Their middle school years would take them to East Oldham County Middle. They would graduate from Oldham County High School. The Hollinden Team updates this search for Cherrywood homes on a daily basis from the Louisville MLS and, can provide you with past sale information, comparables, disclosures, PVA assessment, and tax information. We would love to answer any real estate questions you have. Contact Us for more information on these homes for sale in Cherrywood Place.